Do you suffer from headaches after a workout? Most times getting a headache after a workout means a quick fix, aspirin. But does aspirin address the cause? Since everyone’s an individual, it’s never just one thing that can cause headaches. What’s needed is to explore all avenues, culprits, and toxic exposures. Here are five things that can cause a headache after a workout and what you can do about it. 1. Check the air quality in your gym! VOCs are also used in the maintenance products to clean the vinyl flooring. (2) In my gym, janitors are there in the afternoon cleaning floors, while we work out. (not a good idea) We can all be exposed to these chemicals that cause headaches by inhalation. Additionally, after the hurricane, the local Recreation Center found mold in the ceiling when the shingles blew off. It had taken 6 to 8 months before a new roof was in place. Meanwhile, they had a bucket on the floor collecting rain water, right by the weight lifting equipment. Mold is a toxin, and releases toxic gasses and spores in the air we breathe. Mold can cause headaches. Solutions to air quality include: taking your concerns to management so they can call in mold management, replace vinyl flooring, use white vinegar and baking soda to clean equipment and tile floors, or switch gyms. PCBs from fluorescent lighting fixtures (3) can disrupt thyroid hormones and cause headaches. Fluorescent lighting also disrupts mitochondria health, vision, is causal in free radial damage and increases our risk for oxidative stress. Most bodybuilders usually do some form of movement daily. The question is, whether it’s riding a bike, playing basketball, weight lifting or running, how many of us take care of our body off the court? If we are stressed and feel we’re not performing our best, that’s when exertion plays a causative role in headaches. Solutions can include an appointment with your favorite chiropractor to make sure your neck is in alignment and take time out to lower your intensity levels until you feel better. What you are eating can be as important as what you’re not eating? Low magnesium, dehydration and a high sugar diet is a recipe for headaches, especially after a workout. Magnesium is found in all our bodily tissues, bones, muscles and our brain. Stress, constipation, and addictions to caffeinated drinks, gluten and sugary products can cause dehydration and low magnesium levels. Calories from refined, processed foods before a workout doesn’t provide the body and brain with nutrients, are extremely difficult to digest, compromises energy levels, causes bowel distress and blood sugar highs and lows. For proper fitness, it’s critical to check for blood sugar imbalances. Find better ways to fuel your body with energy by drinking more pure, clean water instead of drinking from your gym’s water fountain. Ditch the fiberless, fat-free rice cake snacks and eat magnesium rich foods before your workouts such as organic almond butter and apples, a handful of raw walnuts, avocados and garlic, or greens such as spinach and wheatgrass. Some people like myself have low blood pressure, normally. However, thyroid disorders, diuretics, and antidepressants can lower blood pressure even more. Solutions include purchasing a heart monitor, eat smaller meals, drink plenty of pure, clean water and know your conditioning level. If you are consistently having headaches after a workout check your recovery time and speak to your doctor about adjusting your medication. 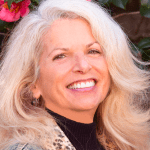 Connie Rogers is a 14 year Certified Integrative Nutritional Holistic Health Coach, Certified Cosmetologist & Skin Health Educator, Gluten-Free Practitioner, Reiki Master, Natural Wellness Blogger, Professional Researcher, Expert in non-pharmaceutical applications to chronic illnesses for endocrine, metabolic, and skin health. Connie believes health and wellness are established with proper nutrition, fitness, and mindfulness. Connie takes a natural and holistic, common sense approach to rebuilding wellbeing from the ground up. Her book ‘Path to a Healthy Mind & Body’ is available on Amazon.